A booming economy and a family oriented neighborhood make Plano an ideal place to raise a family. Plano is home to some large corporations so you’ll have access to plenty of jobs there. With its make Plano a good place to raise a family. thriving business community, you can put up a business there, too. While you’re busy making a living, the good news is that you don’t have to worry about your family’s safety. Plano has one of the lowest crime rates in Texas. Looking to refinance your mortgage in a bigger picture is indispensable in preparing yourself financially for a refinance deal. In our previous blog, we mentioned that you can reap the potential benefits of refinancing your mortgage to a fuller extent if you seal the deal at the right time. Paying close attention to interest rates is a good step in the right direction. But aside from interest rates, keep in mind that calculating the total fee and how long it will take to repay the cost of the refinance are equally important. A licensed appraiser will assess the value of your home during the refinance process. Until then, you will still have time to check on the different factors that determine the value of your home. If you are looking at increasing the value of your property, you may consider fixing damages inside your home. From a lender’s perspective, we recommend taking care of your credit as a practical step to ease you through a good refinance deal. Pay off debt. Pay your bills on time. Manage your finances wisely and do not spend beyond your means. Paperwork is part of any refinance deal. To get on the right track when refinancing your mortgage, prepare your paperwork ahead of time. Gather together important documents such as your current paycheck, copies of your last two federal and state tax returns, and bank account records, among many others. 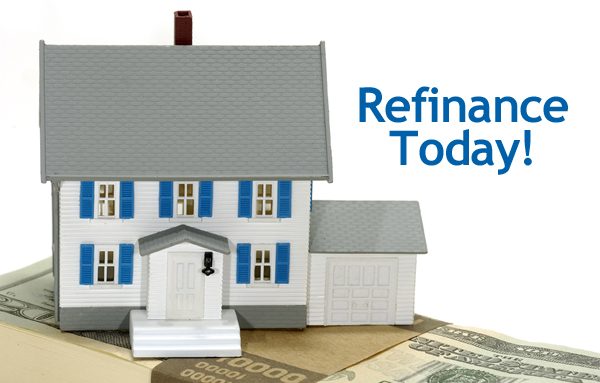 Having these on hand will keep you from going back and forth when applying for a refinance. Refinancing your mortgage is a major financial decision. To make profitable decisions about refinancing your mortgage, be sure to engage a lender who will serve your best interests. You could check out this blog to get tips on finding the ideal mortgage lender. If you want to ease through refinancing your mortgage, it is important to be well-prepared. Preparations that are made ahead of time will help you come up with strategic and financially feasible mortgage choices. At Texas Lending, we help families in Texas to prepare for their decision to refinance by providing pertinent information about the refinance process. Call our loan officers today to find out if a refinance for your property in Plano works for you at your current financial situation.